2. 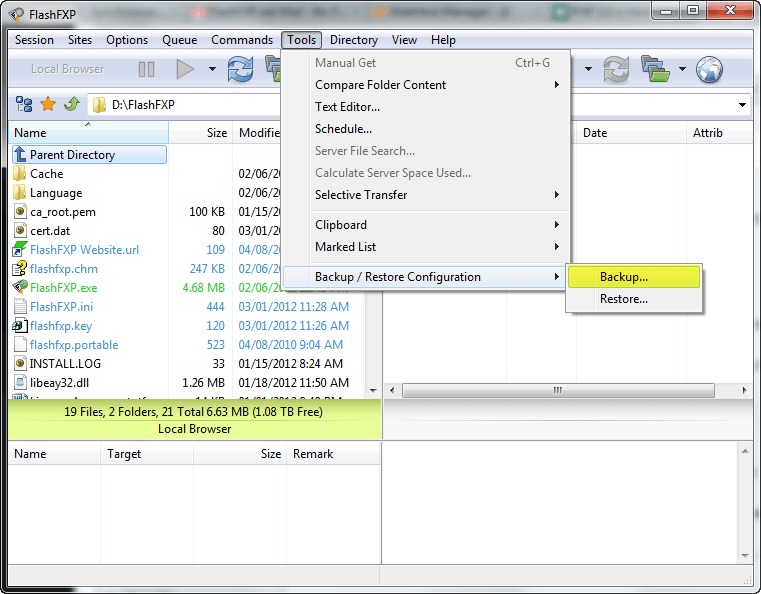 From the main menu, Tools, Backup / Restore Configuration and Select Backup Configuration. 3. Save your configuration to a file. 4. Copy the backup file to the new computer. 3. From the main menu, Tools, Backup / Restore Configuration and Select Restore configuration then select the backup file you previously created. Test FlashFXP and make sure your configuration was transferred properly. When restoring your configuration your license information is not copied over, so make sure you have your license key so you can unlock FlashFXP. Last edited by bigstar; 04-06-2015 at 10:14 AM.